The winners of this year's Fanfare Competition for young composers aged 11-16 have been announced, drawn from over 200 entries. The competition saw schools and individuals from all over the country taking on the challenge to compose a short and attention-grabbing piece of music which will be played to audiences before performances to let them know that it's time to take their seats. 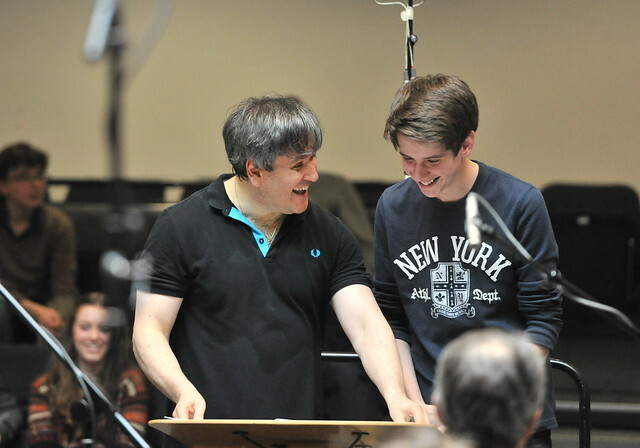 Ten winners will have their compositions orchestrated and recorded by the Orchestra of the Royal Opera House. Audiences at the ROH will hear the fanfares before performances to let them know that it's time to take their seats. A judging panel of Antonio Pappano and Barry Wordsworth, Music Directors of Opera and Ballet respectively; and composers Judith Weir and Duncan Chapman chose their ten favourite fanfares. Audiences will have the chance to hear the new crop from June 2013. We're looking forward to meeting all of the winners at the end of the month to work further on orchestrating and developing their fanfares with Duncan Chapman and members of the Orchestra of the Royal Opera House. The final, orchestrated versions of their fanfares will be posted on our website later in the year.